Posted on March 20, 2015 Categories Uncategorized1 Comment on Hello world! GoDaddy sent out a notification about a critical upgrade for WordPress, so I’m taking a moment to update a few things — replace the Twitter widget, look sadly at the generic site theme and lack of activity. I’m looking at other hosting providers again. I do not get a lot of spam. GoDaddy apparently has two different spam filters in place; one is user-configurable, one is not. The configurable one is set to mark suspected junk mail with “SPAM” in the subject line. It likes to mark Twitter notifications and GoDaddy billing statements as junk mail — slightly dense but mostly harmless. The other spam filter is upstream and is not configurable; it automatically notifies the sender that the email was undeliverable. Although this shields users from an endless deluge of junk mail, it also discards legitimate email without the user’s knowledge. For example, the upstream server decided that Twitter notifications for one of my other accounts were spam, possibly because it goes to the catch-all account instead of the main address. Unfortunately, the billing statements get through the upstream filter just fine. I published my first comic last year. Crash Blossom: Monorail was released at the Jet City Comic Show on September 22, 2012. And by “published” I mean a limited run of 40 copies, hand-folded by the author. “Crash Blossom” was supposed to be an anthology, but as it turns out there were only two of us who made the deadline, and I was absolutely determined to get something in print. The artwork is not beautiful. I redid most of it several times, because every time I thought it was finished, my skill level would double and I’d want to throw the old crap away and replace it with slightly less crappy crap. The writing was generally more well received. This was my first comics project in my adult life, and despite how amateurish it looks now, it was my absolute best, and I’m proud of it. Life is still going pretty well. Thankful for that. Took down a bunch of older blog posts. A lot of them were too candid, or lame, or uninformed comments on current events. That’s what microblogging is for. Yep. Unlike some people, I am still alive as of this writing. Also, I finished the single-player campaign in Portal 2. The game itself felt too short, even at more than double the length of the original; I don’t think they could have made it long enough to do it justice. The ending was suitably weird, even compared to the original. I won’t link to it here due to massive spoilers (you can find it on YouTube). Some backstory can be found in this comic about Doug Rattmann, the delusional Aperture Science engineer who survived the events surrounding GLaDOS‘ activation. EDIT: Okay, okay. Since those last two links at Combine OverWiki also contain lots of spoilers, here is the Portal 2 ending video. But it will make absolutely no sense if you haven’t played at least through Chapter 5 of the game. When I was interviewing at Amazon, my manager-to-be explained that nobody had air conditioners here in Seattle, because it was only hot enough to justify owning one for about one week during the year. Coming from Florida as he had, this was no summer at all. The weather here did make a difference in my relocation from California. I spent my childhood in the midwest, and while I don’t miss the hot sticky summers, I liked the summer rain. I missed the change in the air, the thunder rolling across the fields, and the way everything smelled after it was over. My first Fan Week was in 2006. It was taking a long time to unpack my things, so I had the fan but not the cover. The first time I ran it, the cord from the venetian blinds got caught in the blades. Etc. Google Maps street level views are the greatest thing since sliced bread. All I have to do is drop the little dude icon in the middle of the freeway and it shows exactly what the visual landmarks are. Argh!! I just missed the offramp! This is like the 3rd time!! 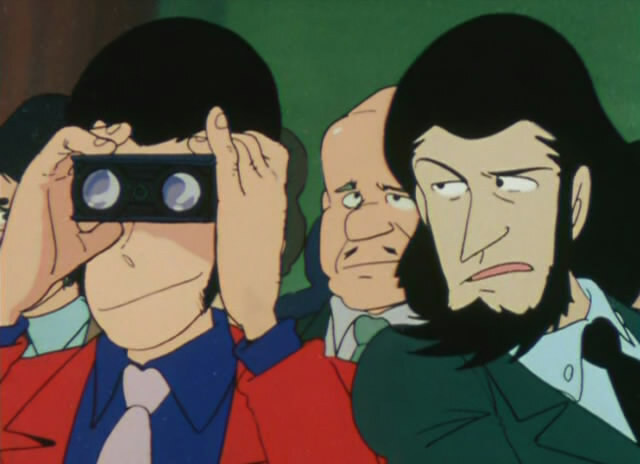 Hey Lupin. Looks like your so-called “source” fell off the web. He hasn’t posted anything since the Fresh Prince hit his expiration date!